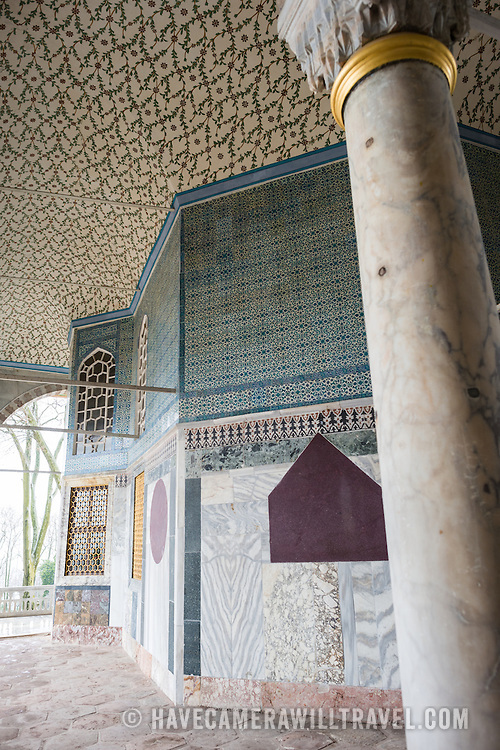 Buildings and decorations in the Enderun, or Inner Palace, at Topkapi Palace. On a peninsula overlooking both the Bosphorus Strait and the Golden Horn, Topkapi Palace was the primary residence of the Ottoman sultans for approximately 400 years (1465–1856) of their 624-year reign over Constantinople and the Ottoman Empire. Today it is one of Istanbul's primary tourist attractions.